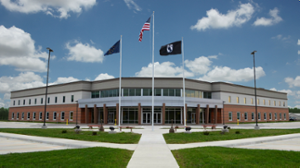 Purdue Research Foundation, WestGate Authority and Naval Surface Warfare Center Crane Division (NSWC-Crane) and others are partnering in Purdue@WestGate to support technology research, commercialization and job creation throughout Southern Indiana. The agreement includes startup creation assistance from Purdue Foundry; increased tech transfer support from Purdue Office of Technology Commercialization; and company incubation space and amenities from WestGate@Crane Technology Park and Purdue Research Park. Weekly eNewsletter and event calendar. Krannert School of Management NSF Midwest I-Corps™ Node. Foundry Grounds, a weekly event where entrepreneurs can meet and present information about their startup. Purdue Polytechnic Institute CareerMaker, educational services and courses for entrepreneurs in the business and technology sectors. Spirited Entrepreneur, a casual monthly event where business leaders, economic development and business leaders, entrepreneurs and Purdue@WestGate leaders meet. Entrepreneurs-in-residence to assist with startup creation. WestGate Express License to expedite Purdue and NSWC Crane IP commercialization. Support amenities offered to Purdue Foundry clients and Purdue Research Park tenants. FireStarter program to guide entrepreneurs through the “Ideation” and startup development process.